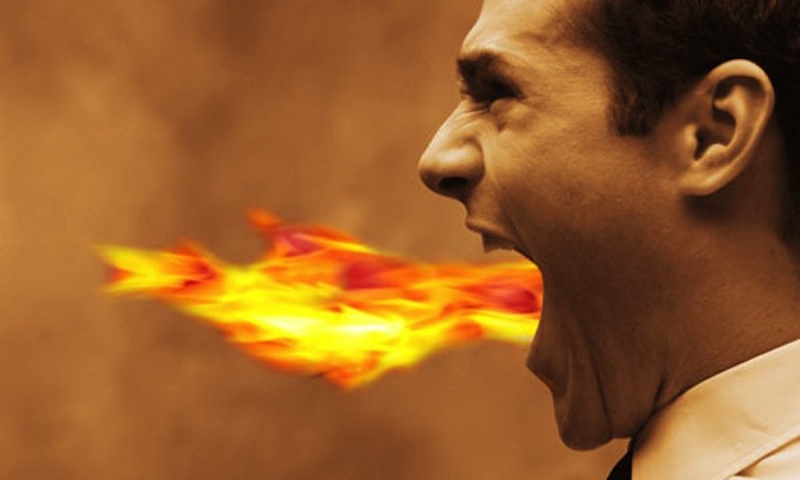 Spicy foods are delicious until it feels like you are pouring lava straight onto your tongue. For those people who can't handle the heat that well, this means that many adventurous dishes to cook and try are all out of the window. However, removing that spiciness might affect the whole dish altogether. How to make food less spicy? Whether you are serving guests or accidently overseasoned your meals, here are a few methods to salvage your dish and burning taste buds. Before you start, identify the source of the spiciness for your dish. Then decide the best solution for the respective spicy ingredient. One of the active alkaloid, piperine, has poor water solubility, which means drinking water will not reduce the heat from eating black pepper. However, it is pretty soluble in alcohol. So incorporate wine or even vodka or brandy or other strong alcohol into your meal to help with the burn. Capsaicin is the compound that produces the heat in hot peppers. They produce the burning sensation in relatively tiny quantities and are extremely piquant. Just like piperine, they have poor water solubility but work best with fat, especially oil. Try to drizzle your meal with olive oil as a dressing or add an extra chunk of butter to the recipe if you want to reduce the heat from hot peppers. Allicin is a volatile sulfur compound that is put out by onion, garlic and members of the Allium family. While some people won't perceive them as pepper "spicy", others sense it as such. Like piperine, they are terrible with water and more soluble in alcohol. But, when these ingredients are cooked, the allicin breaks down, ending up into various polysulfides, which are incidentally fat soluble. So like allicin, masking the strong onion or garlic flavor can be done with an additional good chunk of butter or spoonful of oil in the cooking process. Ginger can be perceived as spicy for many too. You are dealing with shogaols and gingerols if you had added a little too much ginger. The good news is that you can easily cook them off into the milder zingerone. Add some water to the overly ginger diluted sauce and some flavor will be lost by in exchange you will taste less of the ginger spice. Alternatively, the two compounds are both alkali soluble. A buffering agent such as additive E331, or trisodium citrate can help with the solubility. If you don't happen to have food additives around (like most people), try baking soda for the same effect, but be careful since too much will ruin the flavor. Take note that buffers should all be taken with caution since it gets rids of the acidity, which is integral to the taste of the dish. The easiest way to mild out the spiciness in the recipe? Reduce the spicy ingredients and increase the rest of the ingredients. For example, when you are cooking chili, if it's getting too spicy for your taste, additional bland ingredients such as kidney beans or unseasoned ground beef would to the trick. Your stir fry can be saved too with additional vegetables, rice or more unseasoned meat. To tame the heat of an overly burning salsa, dice up more tomato and colantro and throw them in. Dairy products are best for mitigating the heat almost entirely. So serve your spicy dishes with a dairy-based dip, sauce or drink. Drinking milk especially can have an instantaneous remedy effect to the burn. Cream sauces, plain yogurt and sour cream does the same to help toning down the spicy gravy and seasonings of your cajun chicken and curried meat. Butter sauces and a shred of cheese can also effectively cull the spiciness level. Sometimes, all you need is a little sweetness to temper the spicy food. If accidently put on too much hot sauce in your sauces, a spoonful of honey can easily offset the heat without spoiling the flavour. A little sugar for the crushed red peppers in the arrabbiata sauce helps to combat the spiciness. Make sure to only add a teaspoon at a time and taste the sauces after each addition, as you don't want to over-sweeten the dish. If you need to cleanse your palate, water or plain saltine cracker should do the trick. If the recipes call for whole chili peppers or the sauces require chopped ones, it might be big enough for you to pick the flesh or chunks out of the dish manually. Use utensils to avoid direct contact with the potentially spicy oil. Those things can be vicious if it gets on your hand. Wash your hands with soap and maintain zero contact with your eyes or skin for awhile. Acidity is surprisingly effective to cut down the level of spicinesses, such as vinegar and lime juice. An extra squirt of lime juice will tone down an overly spicy salsa. Add some crushed pineapple to your pasta sauce, not only will it virtually disappear. It will also add a little tanginess and sweetness to the dish. For spicy Asian dishes, the likes of Kung Pao chicken or Mongolian beef, vinegar and lemon juice will work wonders to fight it off. Just remember to always add a little at a time to your desired results.